Further to our article on canal boats and bikes, Cycling For Softies is now offering a 'biking by barge', writes Lynette Eyb. UPDATE Dec 2017: This tour is no longer being offered, however there are dozens of companies offering bike-barge holidays in France – why not use our bespoke service for a recommendation? 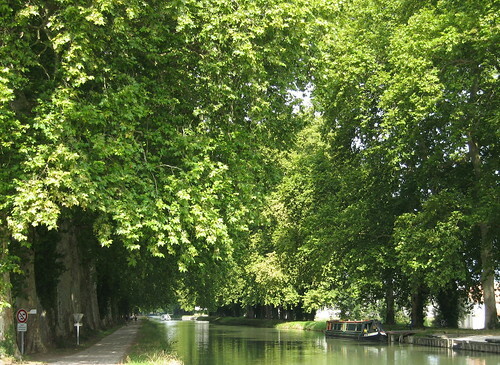 Cyclists can board the barge, called La Chouette, near Bordeaux at Castets-en-Dorthe or in Agen (depending on which direction the cruise is going that week) for a cycling holiday along the Canal de Garonne (previously known as the Canal Lateral a la Garonne). You can choose a three-, four- or five-night option. The barge has space for just 6 guests, and is run by its owners, Bob & Bobbie Marsland. Bikes are included, so you can either sit back and enjoy the cruise or use the canal towpaths to ride alongside the barge. The bikes are also great for ducking into nearby towns and villages for a spot of exploration or a baguette run.